We have recently supported three school leavers to pursue their dream careers – one as an engineer, one as a hairdresser and one as a chef. Grants towards travel costs, course fees and equipment over the duration of their studies have enabled these young people to start on their chosen career paths and gain the necessary experience and qualifications to progress. Their commitment and enthusiasm has been rewarded and they are now successfully working in their chosen fields. A sixth former approached us several years ago to ask for a grant towards a one-week photography course in London. This would help her with her A level studies and enable her to get more of an understanding of what studying Photography at University would involve. She was provided a grant towards the course and her travel costs. She had an excellent time and has now almost completed a degree in Photography at her chosen University where she has also received grants towards her accommodation costs from the Foundation. A mother approached us for financial assistance towards a GCSE-related school trip to Germany. This would enable her 14-year old son to gain a broader appreciation of areas he was studying in his GCSE course and also to travel by plane for the first time. A grant was awarded and her son had an amazing experience. A young man from Harpenden first approached us for financial support three years ago. Over the next three years he attended some of the country’s leading culinary arts colleges. After achieving success in his course, he was selected to compete for the UK in an international Patisserie and Confectionery event. He was the youngest UK competitor, achieved 7th place worldwide and was awarded a medallion for excellence. Several other prestigious awards followed and he now works at a top London hotel as a chef in the Pastry and Bakery department. The young man recently wrote to the foundation to thank them for their support, which he felt had made this a possibility. We regularly support University students with the cost of course materials, accommodation and travel to and from college. 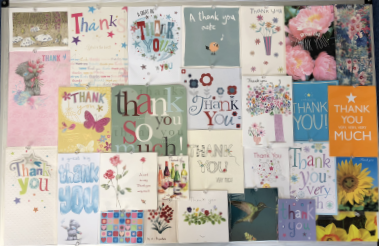 One young lady from Wheathampstead recently wrote to thank the Foundation for their generous support over the four years of her University studies. She told us that receiving the grant enabled her to concentrate on her work, rather than worrying about the cost of equipment necessary for her studies, and helped her to pay for her travel into London. A young man from Harpenden recently asked the James Marshall Foundation for support in purchasing some work tools. 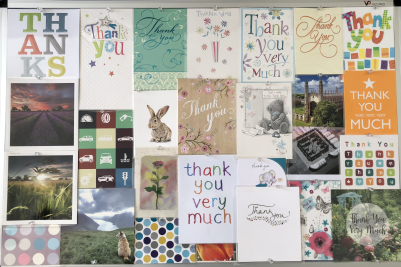 The Foundation purchased nearly £2,000 of tools for him and he wrote to tell us that this has enabled him to attend college and fulfil his dream of becoming a mechanic. He now hopes to work for one of the large car manufacturers. Last year we received a touching letter from a Wheathampstead lady whose husband had recently passed away. The James Marshall Foundation had provided a grant to her husband back in 1949 and 1951 for tools and a course in carpentry and joinery. She told us that her husband had often related the story of him receiving help from the Foundation and how, having brought up four sons, he realised the importance that this 'good-start' had given him. This lady kindly donated a legacy on her husband's behalf, to enable us to support another young person at the start of their career. I am writing, very belatedly, to thank the Foundation for the grant it gave me in around 1992 to buy my first computer. It was invaluable in helping research my doctoral thesis, making the whole process much easier than if I had had to rely on university computers. I am now head of research of a national property firm, a position which my doctorate significantly helped me get. I am embarrassed at never having thanked you before and was prompted to write this letter when working at my laptop and reminiscing about that first computer, with its 386 processor! How fast it seemed at the time! Once again, thank you so much. © Copyright 2018 James Marshall Foundation. Developed by Miratech Ltd.